Changing Market Climates - Real Estate Like a Pro! A lot of people ask me about real estate and changing market climates Go figure. It might be because I have opinions on the matter. Or its my job to keep track. Either way, I have some opinions. Most real estate advertising tends to do the whole “Location! Location! Location!” in flashing lights, and to some degree it really is true. 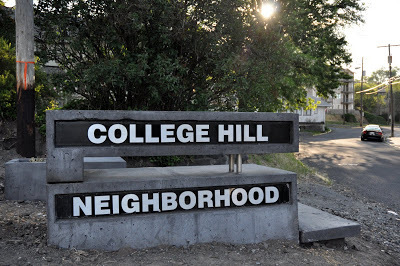 When you don’t hire a buying agent and do all of your shopping online, you can’t know which side of College Hill to live on, and which to avoid! (There is an answer to that one, call me if your wondering.) Its the same in all of our small towns. You need someone with experience to tell you what houses are desirable, and which ones are on the market for cheap because the foundation doesn’t have rebar (another answerable one). The internet is completely changing market climates for real estate. In the past everything was completely relational. Hiring a Realtor was the same as hiring a friend to go with you to find your new home. These days, too many people think that using Zillow makes you an instant real estate expert, even though pricing and availability are often both wrong. Like a lot of industries, the internet has bred an entire host of internexperts: people who do online research and then think they understand the industry. Being a Realtor is not just about being able to find you the latest house price or MLS sold data. Its more then that. Being a Realtor is about finding your new HOME. Thats the part of the equation the internet can’t really provide for you. No matter how accurate Zillow makes their information, they will never know how to find your new home. The same applies introspectively to sellers. Not many people WANT to trust a computer. How often does that end well? When you call and ask a Realtor how much to list your house for, the answer your getting is based on experience and knowledge of the region. There is no way to price your gorgeous home in Rosalia without having been there to see it! Ultimately you want to know the person you have asked for advice is trustworthy, and has your best interests at heart. I think that is what fundamentally makes hiring a Realtor worth it: we are a trustworthy group you can come and see for advice in person. When I get asked by people about the changing market climates and where I see real estate in 10 years my answer sometimes surprises them: No matter what happens with the internet and technology, I will still be shaking clients hands for years to come. Thats how business should be.